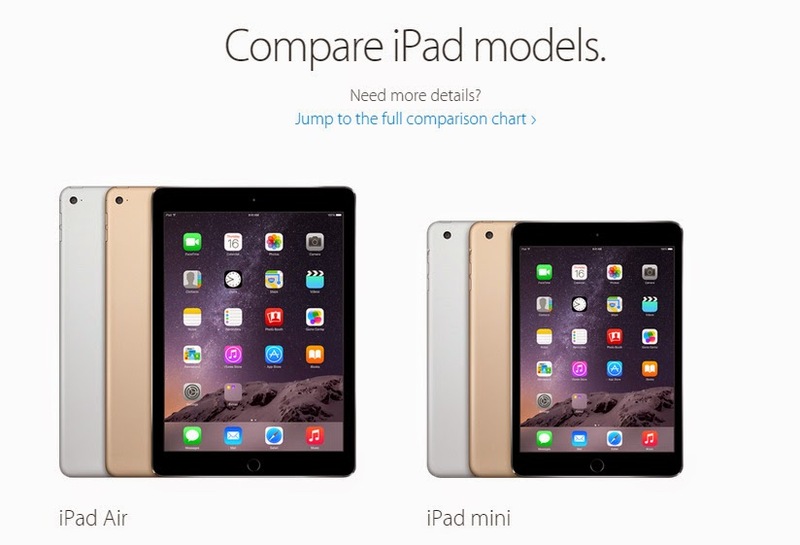 Apple just announced refreshed versions of its tablet lineup: the iPad Air 2 and the iPad mini 3. The former is successor to the original iPad Air while the latter is successor to the iPad mini with Retina display (aka iPad mini 2). Between the two new tablets, the iPad Air 2 is the one that received a major update. The iPad mini 3 only got the Touch ID and a new gold paint job. Let's start with the iPad Air 2, which is Apple's new flagship tablet. Touted by Apple as being the world's thinnest tablet, its waist line is just 6.1mm and weighs just 437 grams (0.96 pounds). It is lighter than its predecessor as well. Not much has changed with its chassis but the volume keys and power buttons are now tilted, facing backwards. 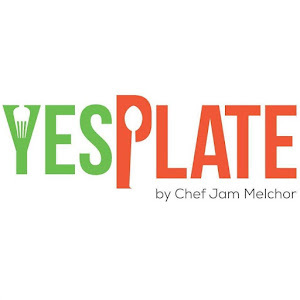 This decision was made to make sure that the iPad Air 2 is as thin as can be. 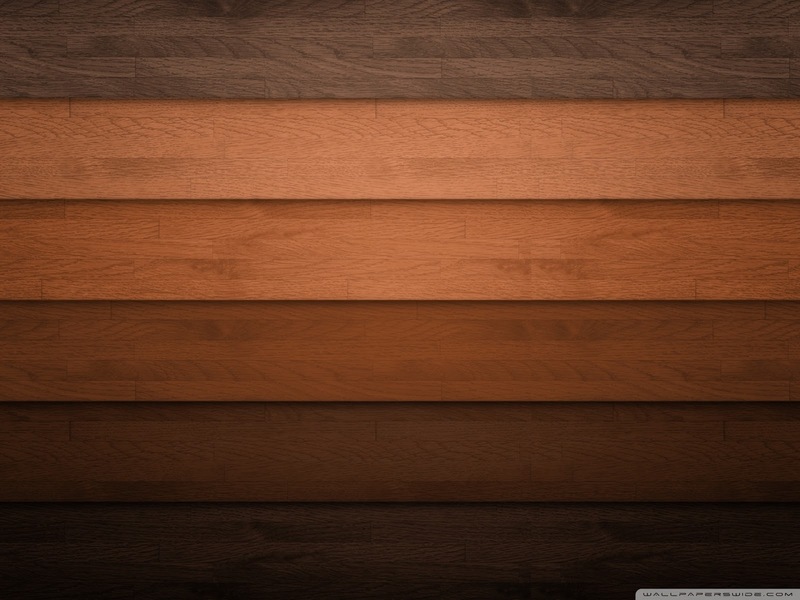 While its display retained the 2048 x 1536 resolution, the iPad Air 2's screen is now laminated. Its LCD, cover glass, and touch sensor have been optically fused, thus eliminating gaps resulting in a very slim profile. 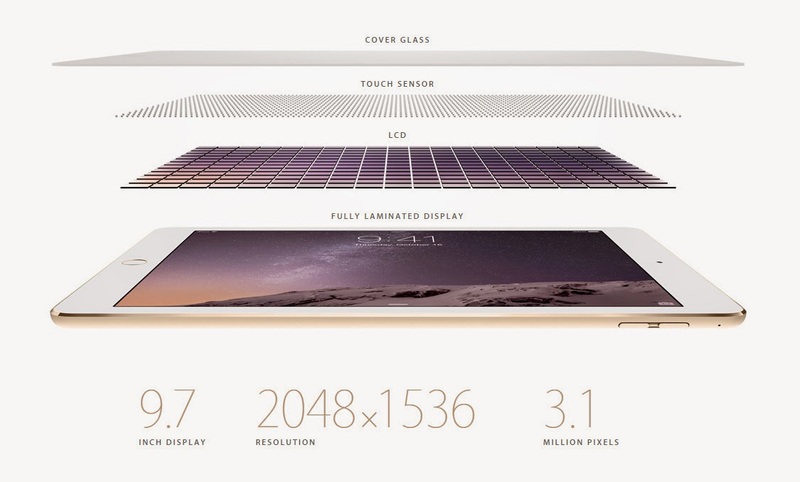 Its display is also less reflective thanks to a custom-designed, anti-reflective coating. Under its hood ticks the all new A8X chipset, which has a 64-bit architecture and 3 billion transistors. Apple's A8X chip comes with a 40% faster CPU and 250% faster GPU than the one in the original iPad Air. The iPad Air 2 has also been equipped with the Touch ID fingerprint sensor with support for Apple Pay. The M8 motion co-processor from the A8 is also on board on the tablet along with a barometer. The imaging department also received a major upgrade. The iPad Air 2's primary iSight camera has been bumped up to 8-MP. This new camera has a sensor with 1.12 micron pixels and a lens with f/2.4 aperture. The camera is capable of recording videos at up to 1080p Full HD resolution, and the whole imaging experience is powered by a new and more powerful image signal processor in the Apple A8X. The 8-MP iSight camera also inherited a feature that debuted with the iPhone 5s - slow motion videos at 120 frames per second. This is a first for the iPad family and the tablet world. 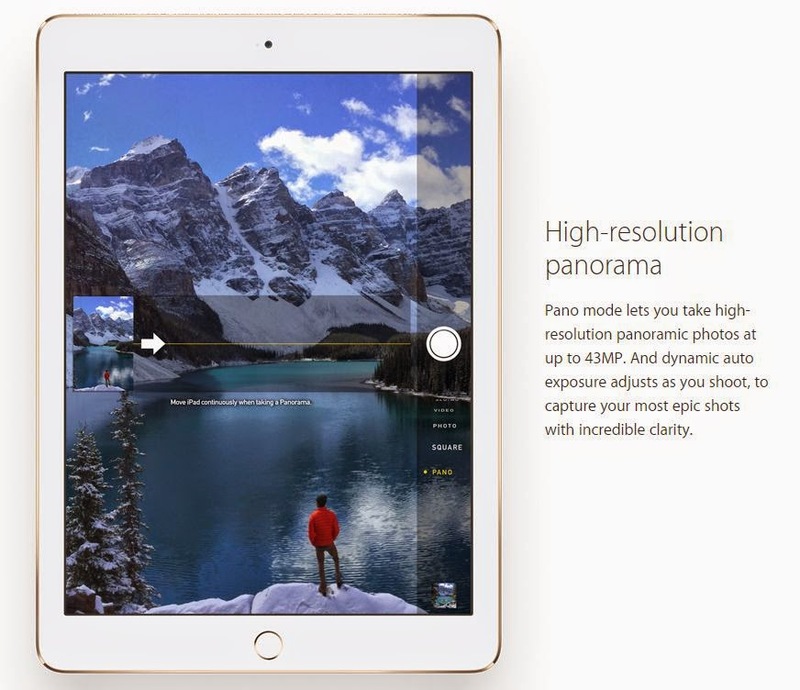 The new Apple tablet can also take some breathtaking 43-MP panoramas. The front-facing FaceTime camera of the iPad Air 2 features a 1.2-megapixel resolution with 720p HD video recording. Its aperture has been increased to f/2.2 to allow more light to come in. 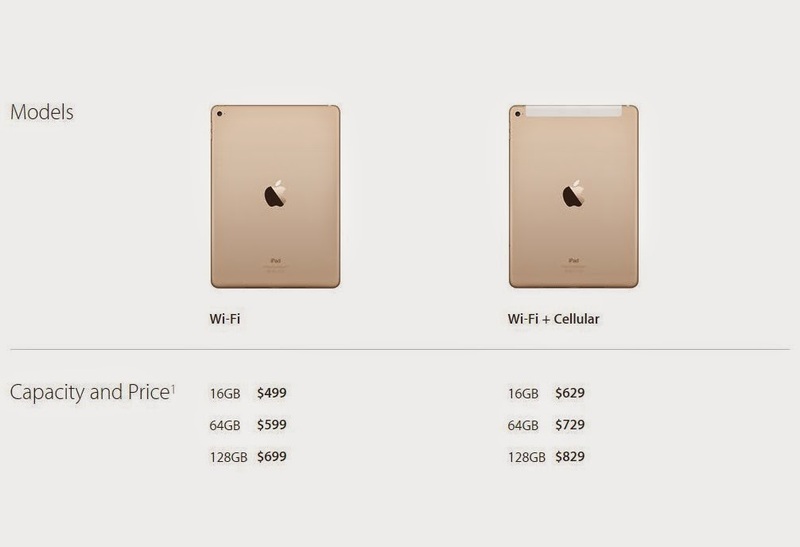 Other new features the debuted on the iPad Air 2 is a faster Wi-Fi, which supports speeds of up to 866 Mbps. There is also a proprietary SIM card for the cellular version of the iPad Air 2. With Apple's SIM card, you'll be able to dynamically change your carrier in the US (Sprint, AT&T, T-Mobile) so that you can pick the plan that serves you best while on the go. There is now a gold color option as well, joining space gray and silver, which is quite popular to iPhone 5S users. Interestingly, Apple removed the 32GB slot for the iPad Air 2. Its price slot ($599) is now occupied by the 64GB model. The iPad Air 2 comes with iOS 8 pre-installed. Pricing starts at $499 for the 16GB Wi-Fi only model and goes all the way up to $829 for the 128GB cellular version. Overall, the iPad Air 2 is a significant upgrade over the original iPad Air. 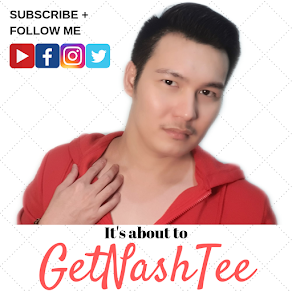 Check out its promo video below. 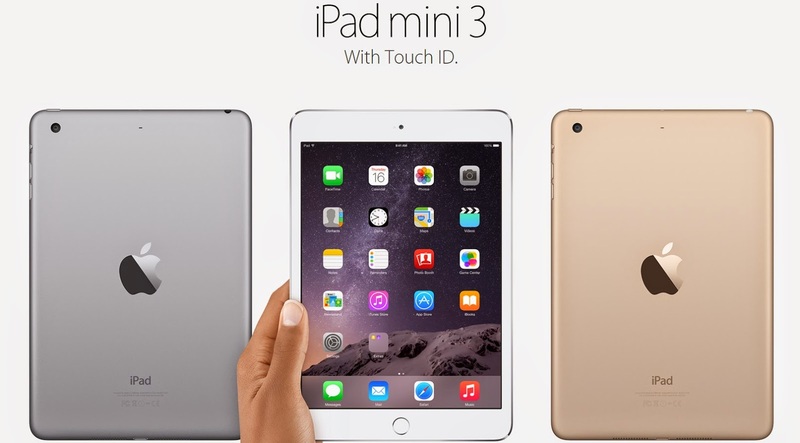 Apart from the iPad Air 2, the iPad mini 3 also debuted but with less fanfare. It's pretty much the same as the iPad mini with Retina display (iPad mini 2) in terms of display, build, camera, chipset, and connectivity options. The only difference is the inclusion of a Touch ID sensor for added security and Apple Pay, and the gold color option. 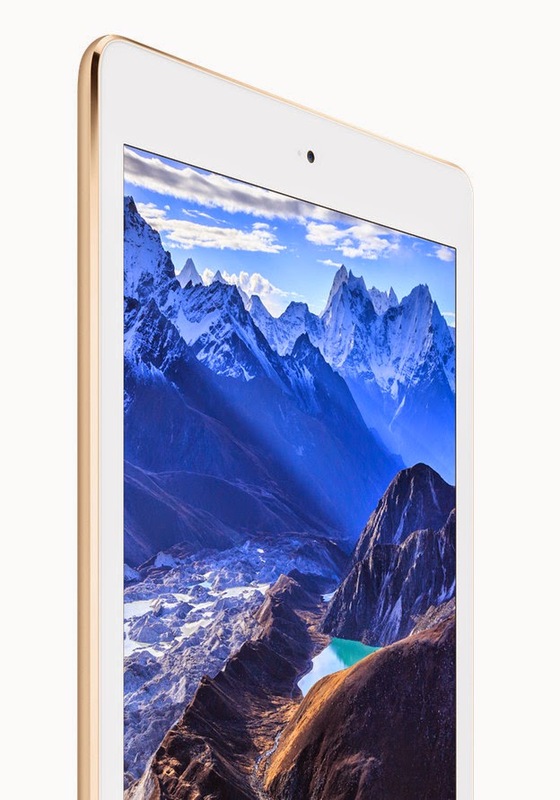 Similar to the iPad Air 2, the iPad mini 3 will not have a 32GB variant. The iPad mini 3 will retail for $399 for the 16GB Wi-Fi only model and goes all the way up to $729 for the 128GB cellular version. The good news is that with the release of the new iPad models, the price of previous models has been slashed. The original iPad Air now only costs as low as $399. The iPad mini with Retina display now costs $299 while the original iPad mini now costs $249.